RumbleKitchen - Cornered "L"-shaped unit. 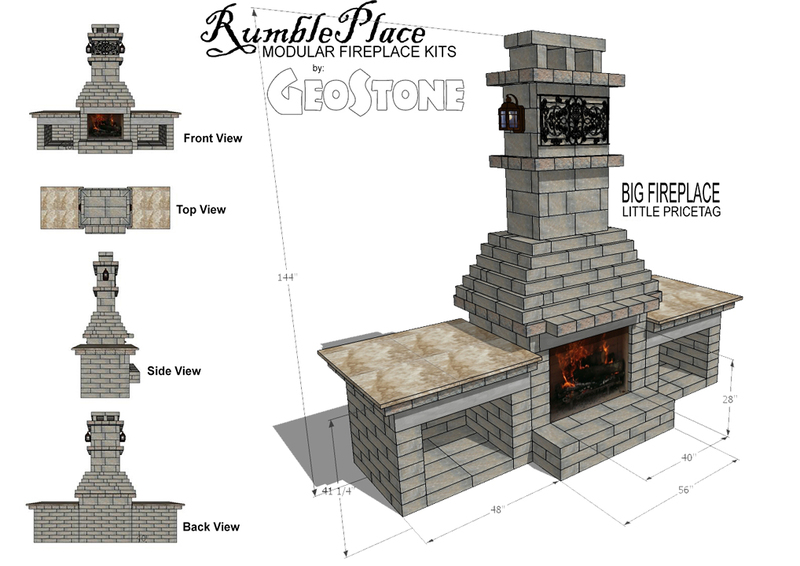 GeoStone's own line of in-house designs where afford-ability meets functionality. 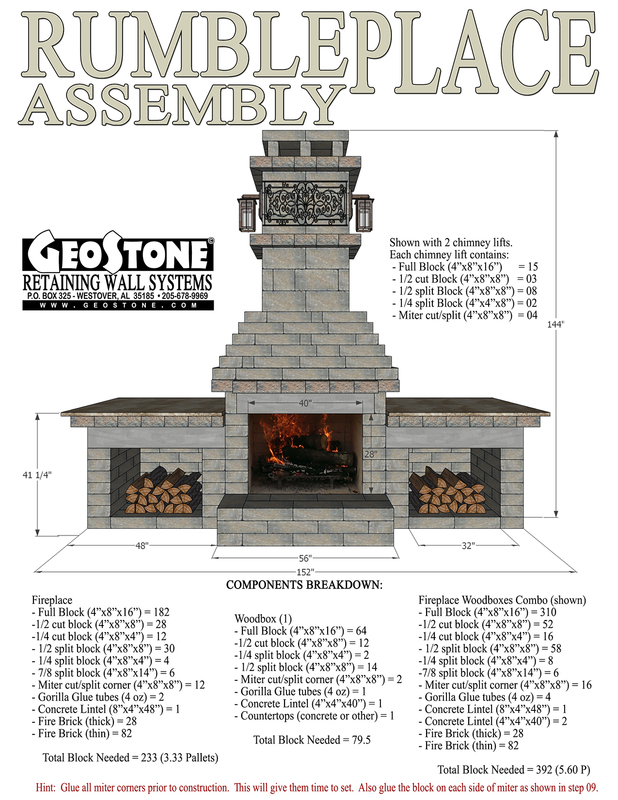 We have stacked this fireplace out in all sizes and configurations and come up with what we feel are the best. 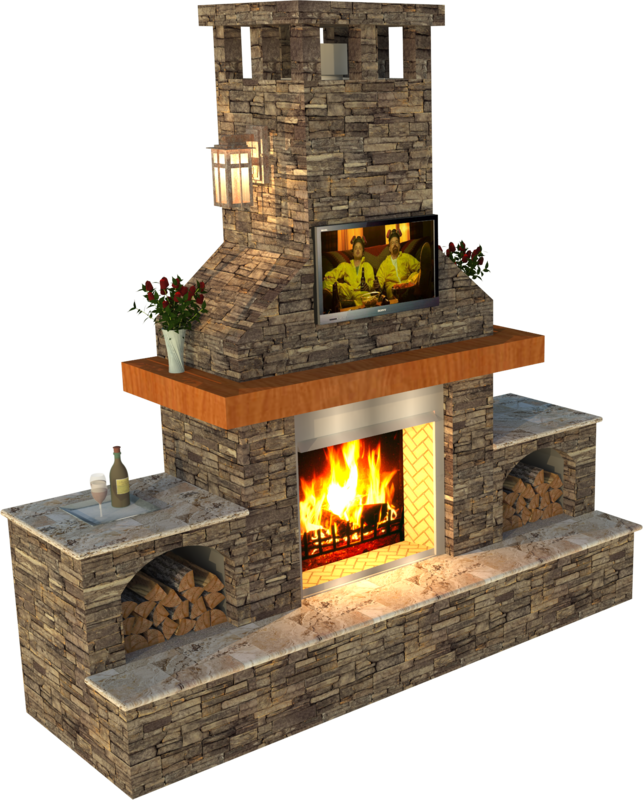 Of course, this fireplace is highly customizable and can be built to accommodate all kinds of situations. These just seem to work for us. For more on the RumblePlace go to WALLS section and select the "Rumbled™ Wall" tab at the top. 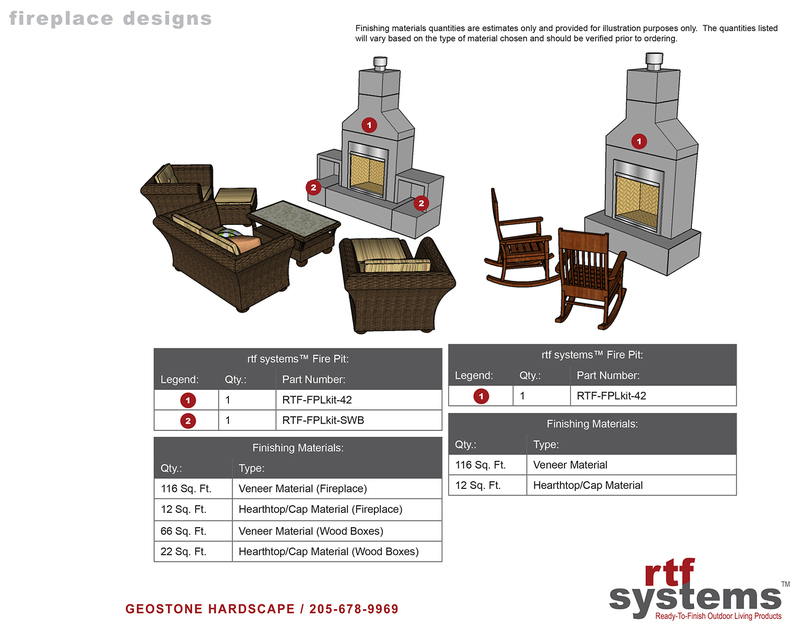 GeoStone's own in-house design where afford-ability meets functionality. Obviously this design can be modified to fit all sorts of components. L-Shaped design can be changed to straight and counter tops can be just about anything desired. Inquire about our step-by-step installation cut sheets on how to build this and other outdoor living units. Made out of a trapezoidal block, the round firepit can be adjusted to different heights (in 4 inch increments). Outside diameter = 46" / Inside diameter = 30" / 18 blocks per course shown. Diameter can be increased by adding more blocks. A ring / grate can be added for cooking and a more finished appearance but not necessary for everyday function. Made out of the versatile 4"x8"x16" Rumblewall, these firepits have endless right angle configurations. Conceptual Phase: This product is the newest kit in our lineup. We are still "toying" with the design and its functionality. We will be changing and improving as we go but here it is in its current state. Seat walls / Stone Fencing is a very versatile method of creating boundaries for your patio projects. This not only creates a sometimes needed barrier but also gives depth to "flat" projects. A stone fence is an attractive way to draw the eye upwards while being functional in its purpose. Incorporating seating further enhances the functionality of the application. Outdoor living encompasses a broad spectrum of applications. Basically, it means taking the comforts of the home and making them available outside. 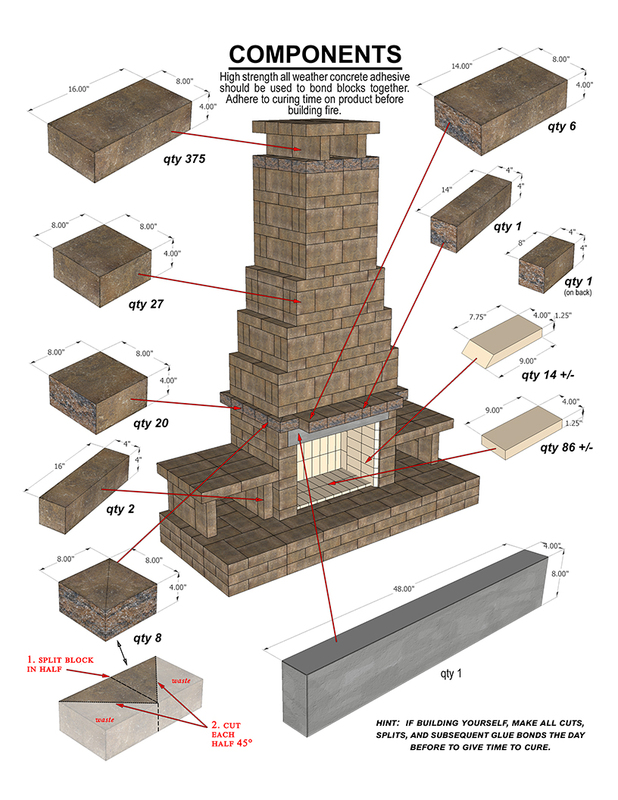 Fireplaces are usually what comes to mind first. We typically locate our fireplaces in the living room area of the house, which would be surrounded by seating areas and maybe a media center. This is true with outdoor fireplaces, but we all know which room of the house is the most social........the kitchen. Outdoor kitchens have become a necessity as of late. Technology has made all sorts of modern conveniences available to the outdoors. Who says your home theater has to be downstairs in the basement. Weatherproof electronics make watching the game outside as if you were there. The best part about entertaining outside is the easy cleanup. Outdoor living areas allow us to enjoy the outdoors without ever having to leave home. Click on picture to 3D rotate model. 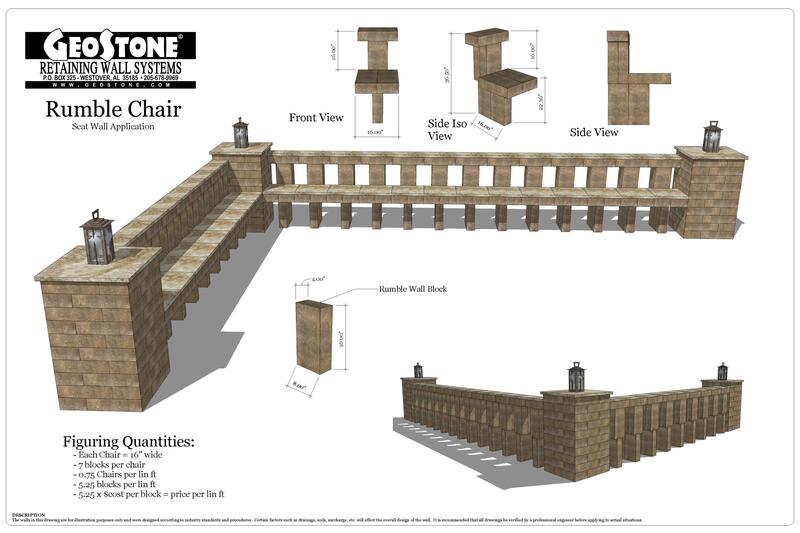 Outdoor Living items and kits are complimentary items to GeoStone Retaining Walls and therefore not available in certain areas.